Listening to Steve Maneri’s podcast, you would think this is Monday Night Football. After all, where else would you expect to hear a former NFL tight end explaining how he mentally prepares to win a game? As it turns out, Maneri fits perfectly as a guest on The Roots of Leadership. Whether he is strapping on a football helmet at the stadium or adjusting his Windsor Knot tie in front of a mirror, Maneri knows that success comes from following a disciplined playbook. Anthony takes a special interest in the nonprofit, the Kids Dream Big Foundation, which Steve founded. The foundation mentors kids and teaches them how to build a successful mindset through sports. 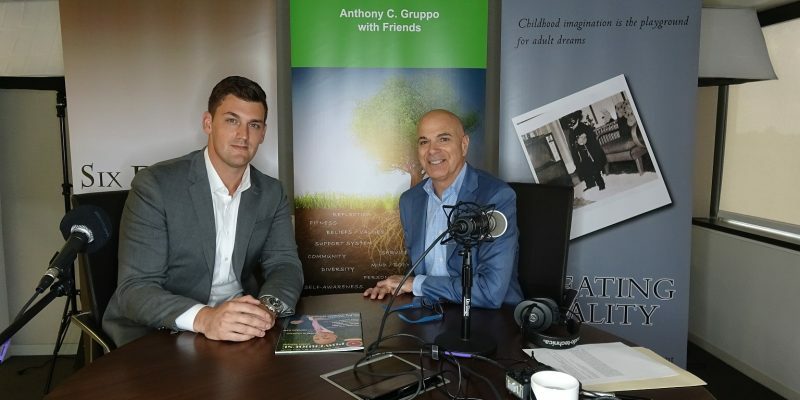 Halfway through the episode, Maneri also shares some special advice he picked up from current New England Patriots Quarterback, Tom Brady. The best way to connect with Maneri is through LinkedIn at https://www.linkedin.com/in/stevemaneri/. If you would like to learn more about the Kids Dream Big Foundation, click http://kidsdreambiginc.org/. Learn how to conquer fear and stay competitive through a personal strategic plan from the mind of a winner. The best part is… Steve is just getting started! !